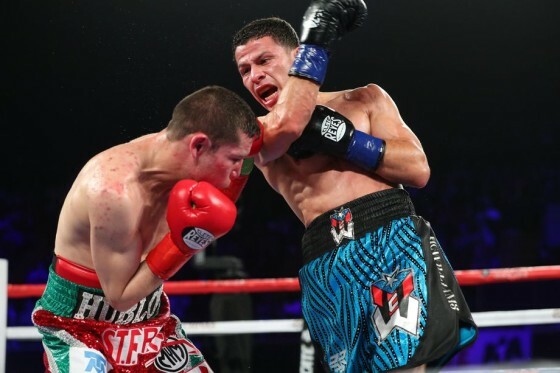 On Saturday night, Feb 24, Puerto Rican McWilliams Arroyo pulled off an impressive upset in defeating former world champion Carlos Cuadras over 10 rounds inside of the Forum in Inglewood, Calif. Aired on HBO as part of the “Superfly 2″ telecast, Arroyo showed great poise, boxing acumen, and the ability to adjust in his match with Cuadras, whose only two losses prior were to Roman ‘Chocolatito’ Gonzalez and Juan Francisco Estrada. Cuadras (36-3-1, 27 KO’s), who trained with Abel Sanchez inside of the Summit Gym, started off strong, yet Arroyo (17-3, 14 KO’s) stayed calm and began to pick his shots and turn the fight in his favor. After 10 rounds, scores of 98-92, 97-93, and 95-95 were read in Arroy’s favor, who picked up the vacant WBC super flyweight title with his win. One of the most anticipated fights in the sport to be made is the Sergey Kovalev vs. Andre Ward matchup, which looks to be on tap for later this year, possibly in Las Vegas. Trainer Abel Sanchez gave me his thoughts on the bout recently, and is leaning towards Kovalev, possibly via late stoppage. 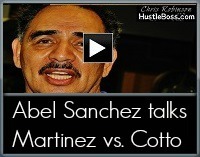 HustleBoss.com correspondent Rod Green speaks with veteran trainer Abel Sanchez about a few topics, including the future of his star fighter Gennady Golovkin, his message to WBC middleweight champion Miguel Cotto, and his reaction to his former fighter Sergey Kovalev fighting so well with his victory over Bernard Hopkins. Gennady Golovkin and Abel Sanchez gunning for another stoppage vs. Marco Antonio Rubio, this weekend on HBO World Championship Boxing. HustleBoss.com’s Chris Robinson speaks with trainer Abel Sanchez about Adonis Stevenson’s victory over Andrzej Fonfara and what his future holds. 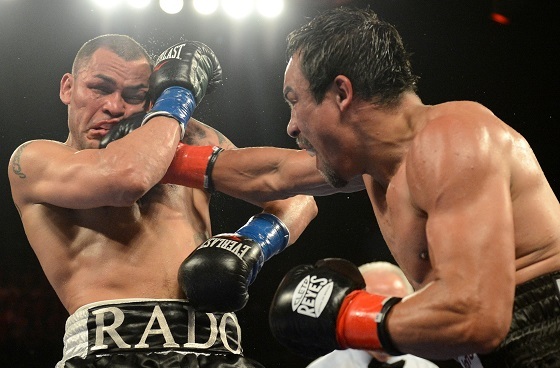 With his clear unanimous decision victory over Mike Alvarado this past weekend, Mexico City’s Juan Manuel Marquez showed that his fighting spirit is still very much up to par. With the win, the 56th of his illustrious career, Marquez also paved the way for the possibility of facing off with his rival Manny Pacquiao for a fifth time later this year. Marquez laid Pacquiao out for the count in their fourth encounter in December of 2012 and while he has seemed disinterested in another showdown with Manny, the intrigue of a fifth world title is still there. Abel Sanchez disappointed that Gennady Golovkin is not facing Julio Cesar Chavez Jr.
HustleBoss.com’s Chris Robinson speaks with trainer Abel Sanchez about Manny Pacquiao’s rematch victory over Tim Bradley. Chris Robinson catches up with trainer Abel Sanchez inside of his Summit Gym in Big Bear, Calif. 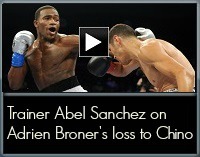 Hear what Sanchez had to say about Adrien Broner’s recent loss to Marcos Maidana and how he will bounce back. 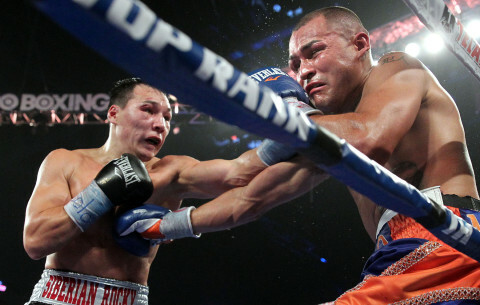 Sanchez also weighed in on Maidana’s future and what the victory likely means to trainer Robert Garcia. Chris Robinson catches up with trainer Abel Sanchez inside of his Summit Gym in Big Bear, Calif. as he speaks on the recent talk of Amir Khan possibly challenging Floyd Mayweather on May 3. 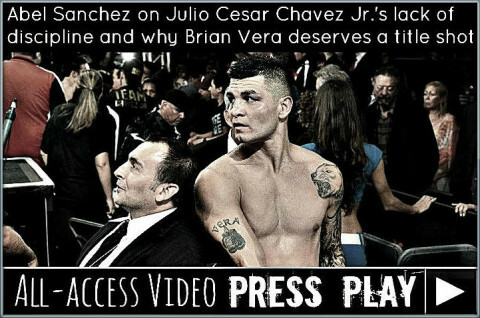 Click the thumbnail for Sanchez’s explanation as to why fighters such as Danny Garcia and Marcos Maidana are more deserving of a crack at Floyd. Chris Robinson catches up with trainer Abel Sanchez in Big Bear, Calif., as he reflects back to Oscar De La Hoya’s memorable training camp in his Summit Gym in late 2008 prior to his clash with Manny Pacquiao. 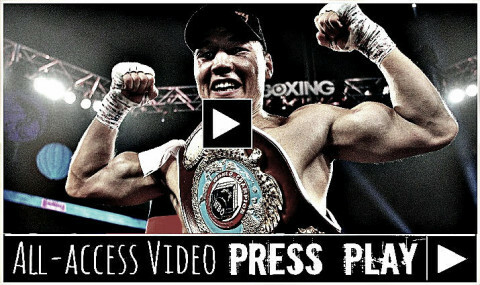 Check out the video for Sanchez’s thoughts on what Oscar was like in camp, why he had a feeling he was going to lose to Oscar, his sparring sessions with Edwin Valero and Victor Ortiz, and more. Click on the thumbnail for more. 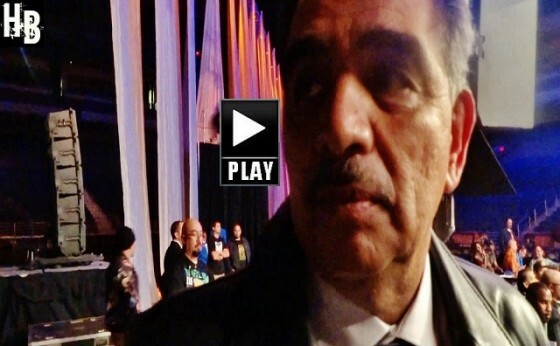 Chris Robinson catches up with trainer Abel Sanchez in Big Bear, Calif. as he speaks from his Summit Gym on the proposed June 7th fight between three-division world champion Miguel Cotto and WBC middleweight champion Sergio Martinez. Well-versed in several aspects of the sport, trainer Abel Sanchez is a good source to turn to when you are looking for some boxing feedback. 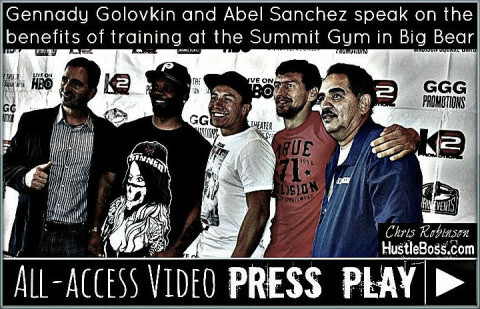 Tucked away in Big Bear Mountain in Southern California for most of the year, Sanchez’s Summit Gym plays host to a bevy of world-class fighters from across the globe, including WBA middleweight champion Gennady Golovkin. Asked for his take on boxing’s most recent big event, Sanchez seemed to feel that Manny Pacquiao’s unanimous decision victory over Brandon Rios this past Saturday night in Macau, China went according to the script.